Tribune. Serge Weinberg, president of Sanofi, and Denis Duverne, president of Axa, launched the call " Change by the gift » rich people to commit to donating at least 10% of their income or wealth. Several personalities have already joined this project, whose goal is to reach 400 donors by the end of the year. 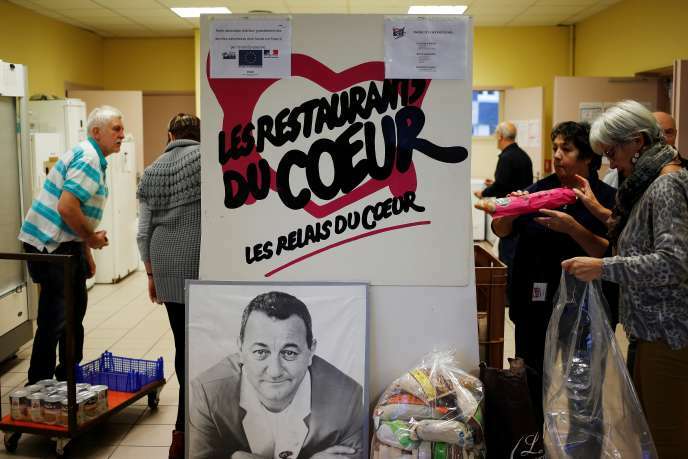 In a French context where the rich give little, and rather less than the rest of the population in proportion to income, the initiative is to be welcomed. However, something hinders one of the arguments that justify the approach. We read on the site: "These initiatives are all the more necessary as public action has found its limits: limits in terms of legitimacy vis-à-vis players close to the field, quantitative limits when public spending represents 55% of GDP. The state has no choice but to share the management of the common good with the citizens. " Clearly, the state would run out in its function of "providence" and the tax burden is at its height: private to take over. This is not the reality. Thanks to the French tax code, when the private gives 100 €, the State returns 66 € or 75 € according to the chosen association - and 75 € for the tax on the real estate fortune (IFI) in the limit of 50 000 €. In other words, for a given net euro, the state doubles the minimum bet, this within the limit of 20% of income. And legacies and donations to works are exempt from rights. If the state becomes "illegitimate" and reaches its budget limits, then it keeps this money, especially since it must finance its donation aid either by a reduction of other expenses, or by increased taxes on other taxpayers. A constant public budget, any amount offered by a rich donor weighs for a large part on the rest of the citizens, and for purposes chosen by this single donor. We leave the principle of public finances where the tax is universal, without arragement a priori, and especially the subject of a collective democratic choice. Article reserved for our subscribers Read also "Reflect on the evolution of the philanthropy we want in France"
The "call of the 400" thus elicits two opposite reactions: we first welcome the realization by the rich people that their good fortune must go hand in hand with generosity. This follows, a few years late, the Giving Pledge launched in the United States by Bill Gates and Warren Buffett, a commitment given by large fortunes signatories to give philanthropy 50% of their wealth. Or Giving White Paper, launched by the British Conservative government in 2011, for the rich to give 10% of their income. But we also wonder what is meant by strong tax assistance in our societies when, from year to year, the range of income and wealth widens.